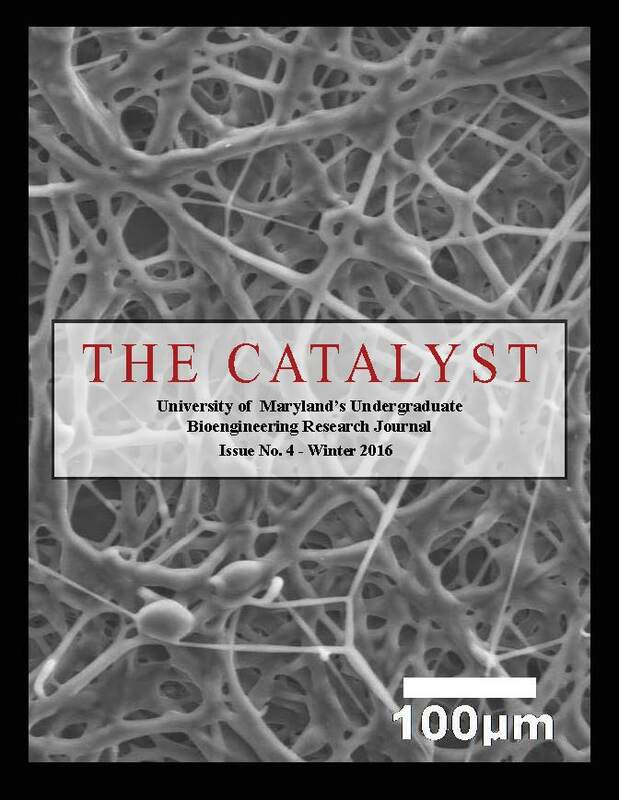 The Catalyst is UMD's undergraduate bioengineering and biotechnology research journal. The Catalyst was created by a group of undergraduate students who came together with an idea to increase student interest and involvement in research on campus. The Catalyst's editorial team, along with other BIOE students and faculty members, has recognized that undergraduate research is fundamental to a student’s academic success. This journal is meant to reveal these research experiences to current, prospective transfer, and high school students not yet involved in research, as well as to all who are interested in reading about the research being conducted on campus. Quality of Life+; Where Are They Now? ; Dr. White: A Professor Perspective; and more! Inside the Mind of a Bioengineering Pioneer: Dr. Fischell; A Look into Three Biomedical Devices; New Beginnings for BIOE; and more! Secrets to Success: Grad School, Med School, Industry, Networking, and More; Financing a Tech Venture; Student Spaceflight Experiment Program; Improving the Cost and Efficiency of Oxygen Concentrators for Low Resource Settings; Molecular Dynamics: Modeling Drug Interactions with Bacterial Membranes; and more! Get Out of the Lab (and Other Startup Lessons from the Front Lines), Your Legal Questions Answered, Manual Lens Stretching Device for Presbyopia, A Winding Road to Tissue Engineering, and more! The Catalyst is published once each semester, and is open for the submission of abstracts from any student conducting research related to bioengineering and biotechnology. Sources of student research articles can come from a research experience at faculty-run lab on campus, honors program or thesis, and/or internship. Galvanize interest and spur involvement in undergraduate research for students whom are not currently involved in research. Create a medium for current undergraduate researchers to publish their findings. Develop a more connected community of researchers and students on campus. Allow undergraduate researchers to expand their research experience and influence with The Catalyst’s social impact section and interview sections. The Catalyst team is also looking for pictures/imaging and videos taken by students during their research work. Pictures and videos will be included as highlights throughout future editions. Every photo and video included will have text with quick information about the research being done and credit to the student, PI, and lab. 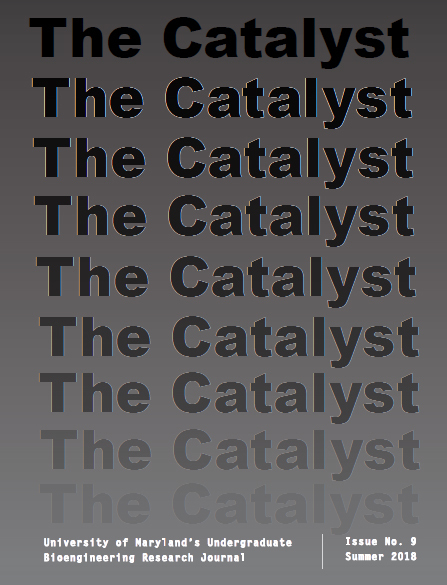 Please email The Catalyst if interested at thecatalystumd@gmail.com and like The Catalyst on Facebook!